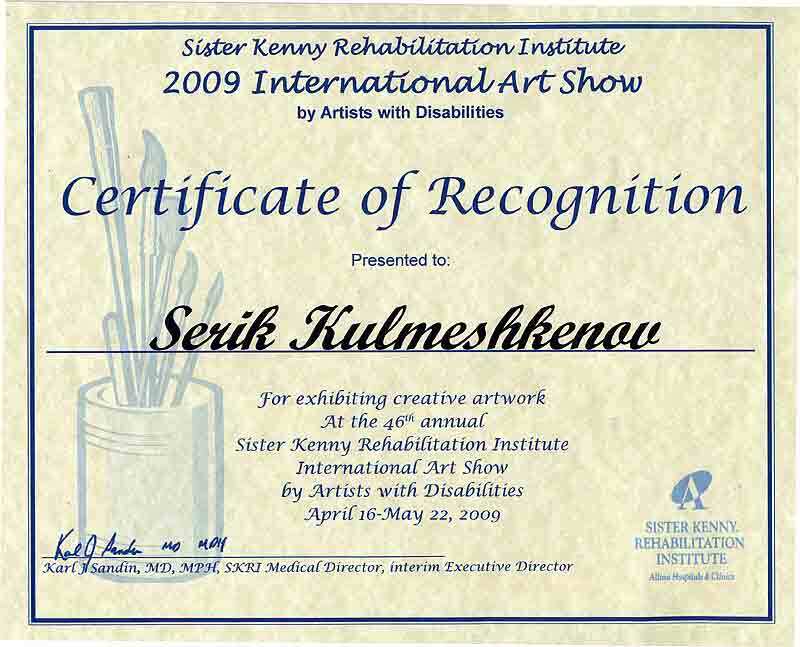 Sister kenny Institute Internationa Artshow. 2009. Certificate of Recognition.